Every year, thousands of California construction workers are injured on the job. In fact, construction accidents result in one of every five workplace fatalities. It is believed that the statistics are so high because most construction companies employ less than 20 workers, and, because of the size, many construction companies have little to no formal safety program. Our San Diego construction accident lawyers can advise you on your options if you have been hurt in this type of accident. Accidents on the construction site come in a variety of forms. The most common are falls, but equipment accidents, scaffolding failures, exposure to toxins, vehicle accidents, and burn injuries are frequently reported. While most construction accidents give rise to an action under the Worker's Compensation system, under certain circumstances the injured worker can maintain a civil action outside Work Comp. If the injury is the result of employer negligence and the company does not maintain Worker's Compensation insurance, the injured party can file a separate action, or if the injury was caused by a negligent third party. What is a negligent third party? Frequently on the job site there is interplay amongst the various contractors and subs. For example, the framers may erect scaffolding, which may then be used by the dry-wallers, stucco people, painters, etc. If that scaffolding were erected improperly and injured a painter, then a construction accident attorney in San Diego could help the painter bring an action against the scaffolding company, even though he would be bound to Work Comp in a case against his own employer. There numerous third party possibilities. If the equipment fails or is defective, it may be due to the negligent design, manufacturing, or maintenance of the equipment. If the chemicals are improperly labeled, it may be the fault of the shipper. If you have suffered a serious injury on the job site, it always a good idea to have the circumstances analyzed by an attorney. An employee of a metal fabricator had his thumb amputated on a punch press machine. The machine had been modified by the employer to speed up production; a modification that was foreseen by the manufacturer of the press. A lawsuit was brought by our San Diego construction accident attorneys against the manufacturer of the press, and the case ultimately settled. A chemical floor epoxy was being applied to a warehouse floor. The epoxy containers, however, were mislabeled. Instead of there being the epoxy in one container and the catalyst hardener in another as labeled, both containers contained only the epoxy. When workers returned the day after application expecting to find a hard epoxy floor, they discovered the epoxy was still in liquid form. In the process of removing the liquid epoxy, an electric floor buffer was used, which sparked the flammable fumes from the epoxy, and severely burned three employees. The epoxy manufacturer was successfully sued for the injuries. A painter was using scaffolding erected by a dry wall contractor. One of the scaffold floor boards was rotted near the end. When the paint stepped on it while painting, the board broke, and the painter fell two stories to the ground, fracturing vertebrae in his spine. An action was brought against the dry wall contractor by the construction accident lawyers at our San Diego firm, and the injured painter was compensated for his injuries. Any serious injury involving work on a construction site of any kind should be thoroughly investigated. What at first look might appear to be a workers’ compensation case, may very well be a viable case of third-party liability. 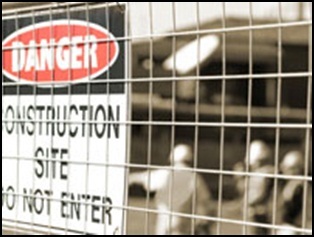 Walton Law Firm has successfully represented individuals who have suffered injuries on the construction site. If you have questions about an injury matter, please submit your confidential question online, or call Walton Law Firm for a free and private consultation. We can be reached toll free at (866) 607-1325 or locally at (760) 571-5500. Crane Accident Fatality and Construction Risks Fatal Crane Accident Reported at Southern California Construction Site Many jobs are dangerous, but certain jobs pose more injury risks than others.